An Oshkosh (NYSE: OSK) subsidiary has won a five-year, $687.1 million contract to deliver commercial fire and emergency vehicles for the Defense Logistics Agency. 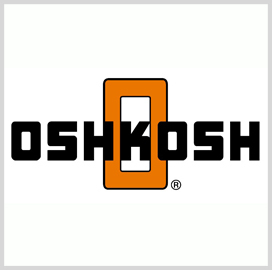 Oshkosh Airport Products will produce the vehicles at a company facility in Wisconsin for customers such as the four U.S. military branches and federal civilian agencies, the Defense Department said Friday. DLA’s troop support unit received five responses on the fixed-price with economic-price-adjustment contract through a competitive acquisition process. The agency will finance the contractor work using defense working capital funds for fiscal 2018 through fiscal 2023.